Because the two new schools (Campbell and Walton) have only had the opportunity to compete in five regular season tournament compared to seven for the other schools, the board has decided that fencers from those two schools can be eligible to compete in the Championships if they have competed in two regular season tournaments rather than three. The Individual Championships will be held on 21 February at Alpharetta. To qualify for the Individual Championship, fencers must have competed in three regular season tournaments (two for Campbell and Walton) and have earned points in at least one. The Team Championships will be held on 7 March at Pope. Each school can send one men’s team and one women’s team to the Team Championship as long as they have at least three “eligible” fencers to form a team. Fencers are “eligible” as long as they have competed in three regular season tournaments (two for Campbell and Walton). In a few days, I will send out a list of all qualifiers for both championships. One of the requirements to be eligible to compete in either the Individual or Team Championship is to have competed in at least three regular season tournaments in the current season. The number of tournaments a fencer has competed in is listed in the Fencers by School report. 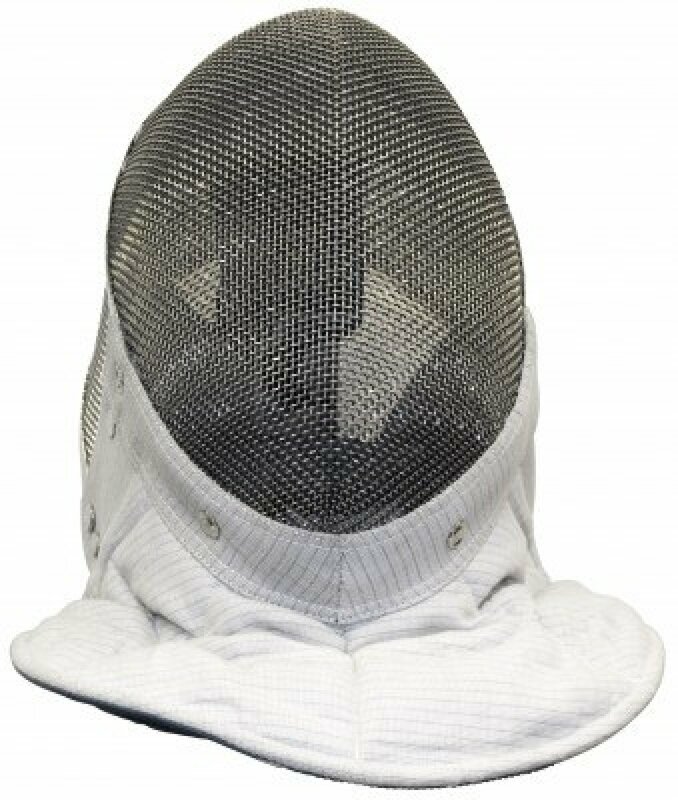 If you have fencers who hope to compete in the Championships but who have only competed in two regular season tournaments, they should be sure to compete in the last regular season tournament on 31 January. Note that the fun team tournament in December is not a regular season tournament and does not count for eligibility for the Championships. 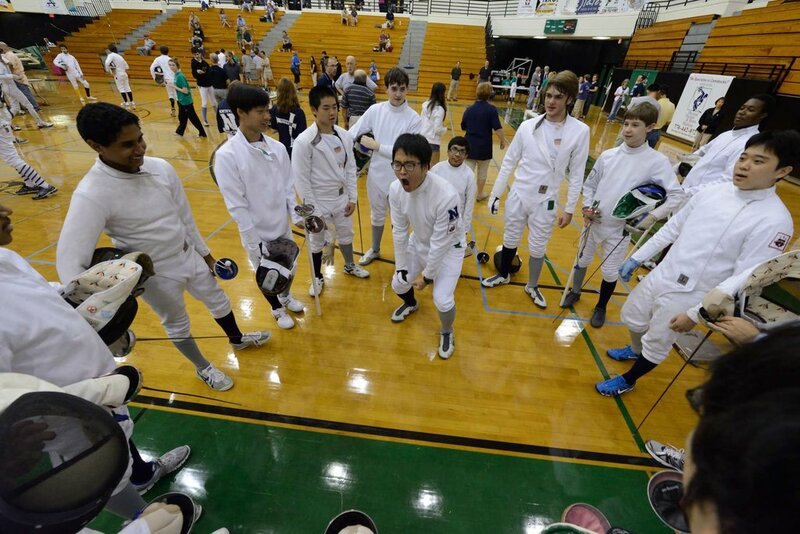 To qualify for the Individual Championship, fencers must have competed in three regular season tournaments and must have earned points in one of them. In the highly unlikely event that more than 84 men or 84 women meet those requirements, the 84 with the most points will qualify. All schools can enter one men’s team and one women’s team in the Team Championship as long as they have enough “eligible” fencers to form a team (there are three or four fencers in a team). To be “eligible”, fencers must have competed in three regular season tournaments. Please remember Milton is at South Forsyth (rather than at Lassiter as originally scheduled). Lassiter will host Cambridge, Campbell, Chattahoochee, Dunwoody, Fellowship, Pope, Roswell and Walton. The tournament will take place at Simpson Middle School. South Forsyth will host Alpharetta, Centennial, Duluth, Johns Creek, Lambert, Milton, Northview and Pinecrest. ​The novice tournament did not award any points so the standings were not affected. However, this tournament does count as a regular season tournament for the purpose of deciding who can compete in the Championships at the end of the season. 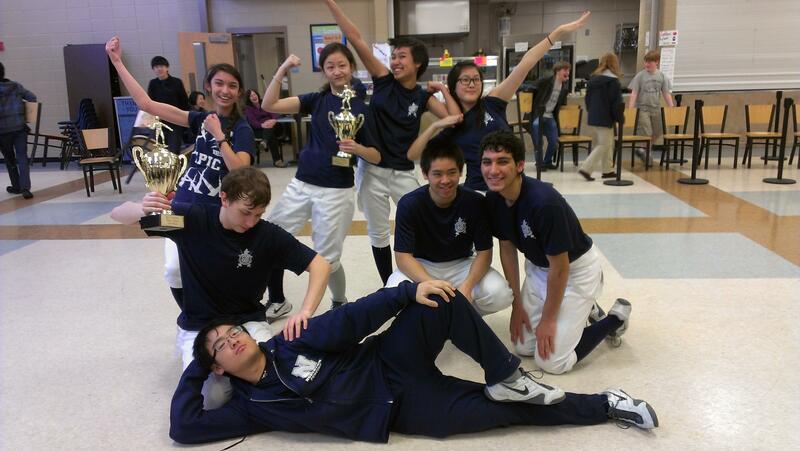 Next week at Dunwoody you will all be consideredd "experienced" fencers. Cambell HS from Smyrna has just joined our league. They will start competing next week (but at Pope). The tournament will be held in the gymnasium at Dunwoody High School located at 5035 Vermack Road, Dunwoody 30338. The gym entrance is in the lower back corner near the baseball field. Check in time for men closes at 8:30 a.m. and women 10:00 a.m. Registration will open at 7:30. The referee meeting will be held at 8:15 a.m. I will have a signup sheet at practice today. Concessions will be available all day. Dunwoody plans to have breakfast items, coffee, Gatorade, water, soda, pizzas, and other snacks. I would recommend that you always bring water. As you have already experienced, tournaments last past lunch so bring lunch or money to buy lunch. Northview has to bring 3 strips so I would appreciate any and all help unloading if you see me that morning. Our first tournament is this Saturday at Roswell HS, 11595 King Road, Roswell, Ga 30075. Please leave 45 minutes to get there. Men's check-in starts at 7am and CLOSES at 8am. Women's CLOSES at 9:30am. Please do not be late. The gym is in the back near the stadium. Remember, the league is checking masks and gloves at every tournament. Make sure your glove has no hole anywhere. We'll have hot glue for the last minute mask repairs. If you have not turned in your forms, make sure you bring them to Friday's practice. You cannot fence without the Georgia HS Fending League waiver. We'll be distributing socks on Friday. Each fencer gets a new pair per season. It is also Fencers Treats Friday for club members whether or not you are competing Saturday. Make sure to stop by the table at lunc. See you tomorrow afternoon or bright and early Saturday morning at Roswell HS. Just a reminder that there is a tournament for experienced fencers at Roswell HS this Sat, Sept 6. If you have not signed up and want to, please let me know ASAP. We need to submit names tomorrow. Thanks! At the team championships at Pope, Northview men won bronze behind Pope and Chattahoochee. Congratulations for excellent fencing by Harold, JP, Matthew and Carson! Northview ladies finished fourth behind Alpharetta, Pope, and Centennial. Congratulations to Arah, Val, Cassandra, and Rachel for a great team effort. We had a great season! Thanks to our Coach, Dorothy Cornwell, and Chris Lu for their hardwork and dedication. We look forward to next year. Graduates: Please come and visit and if you are in- state for college and want to direct - we would love to put you to work. Mrs. Sedberry is graduating (with Carson) this season. We will miss her so much. The kids loved her! The end of the season is almost here. March 4th is our end-of-season party. We will have a short meeting to speak about parent leadership. The league will not reschedule this tournament, so there will be no more opportunity for points before the individual championships which Northview is hosting on the 22nd. Based on points to date, nine Northview men & seven Northview ladies have qualified for the championships. By the league rules, that means they have competed in at least 3 tournaments and scored points in at least one. Congratulations to: Matthew Do, Rickie Jang, Daniel Kim, Harold Liu, Patrick Malloy, Jamie McAreavey, JP Oberste, Carson Sedberry & Michael Zhou, Valerie Avva, Cassandra Cronin, Arah Kang, Christine McAreavey, Hailey Sanders, Rachel Williams & Tiffany Xu. These fencers are also eligible to letter, but the club's requirements differ from the league. We require attendance at more tournaments & 80 percent of practices. While we had one fewer tournament than we expected, we will count the roster for that tournament as one the fencer attended. Northview qualified for the team tournament for both men & women. While we were second for men and fourth for women leading into the individual championships, points earned at the championships count toward our seeding in the team tournament. I'm checking with the league statistician, Chris Grimshaw, to find out if they count double, as they have in years past. We have not decided who will fence team, yet. Accumulated points will be one factor, but Coach will take other considerations into account too. I am presuming we will send 4 men and 4 women. Approximately 115 fencers have qualified for the individual championships--59 men & 56 women. As for team, 15 men's teams and 11 women's teams have qualified. That's shaping up to be another long day at Pope. Because Fulton County has called off school tomorrow (Friday), that includes all extra-curriculars, including our tournament Saturday at Milton HS. The league's calling the other tournament off at Dunwoody HS too. Please don't show up at Milton HS early Saturday morning! Men: Six placed in the top 16 received 3 of the 4 medals Saturday at Johns Creek: Harold (2nd), Matthew Do (3T) & JP (3T). Brian Cai (Alpharetta) beat Harold in priority in the final. Six Northview men's fencers placed in the top 16 including Jamie McAreavey (7), Patrick Malloy (10) and Carson Sedberry (14). Four Northview ladies placed in the top 16, including Arah (5), Cassandra Cronin (6), Hailey Sanders (11) and Valerie Avva (13). Caitlin Stanton (Alpharetta) won. Northview remains 2nd in team for men and we've moved up to 4th ahead of Chattahoochee in team for ladies! Way to go! Be thankful we weren't at the Lassiter tournament. Women's pools lasted from 10:30 until 3pm. The men's final was held at 5pm and the ladies' final wasn't fenced until 6pm. Ross Manning won on the men's side. Luben knocked out Ryan Carroll in the round of 8 and Ross beat Luben in the round of 4 before beating Chattahoochee team-mate Jason Calvert in the finals. For ladies, Katie Van Riper (Pope) beat Dorothy Cannella (Centennial). Our first tournament of 2014 is this Saturday at Johns Creek HS. I've e-mailed the fencers directly, but I will need to know if they'll be fencing before Wednesday, so a gentle reminder from you to let me know who's on the roster would be greatly appreciated! I am also in need of volunteers to time-keep in the morning and afternoon. Jian Zhou has volunteered to timekeep pools so I need one more morning timekeeper and two for afternoon DE's. Please let me know who's available. Men's check-in Saturday will be BY 8am in the JCHS cafeteria. Ladies' check-in closes at 9:30am. When you enter off State Bridge, drive straight back. There's parking on the left. We have practice Friday after school to get the fencers warmed up for Saturday. December 16, 2013 - Holiday Party!!! Our party is Monday, December 16th after school in the cafeteria. Parents, please join your fencer if you can. We would love to see you there. Marines Toys for Tots Foundation is collecting new & unused toys. Please bring one in. Congratulations to our Roswell competitors! Five Northview men finished in the top 16, more than any other school. Alpharetta's Brian Cai won, but he was the only Alpharetta man in the top-16. Matthew Do is our tournament high-finisher in 5th, followed by JP (7), Harold (8), Jamie (9) and Daniel Kim (12). Three Northview ladies finished top-16: Valerie (5), Arah (9) and Hailey (14). The medalists today were Brian Cai (Alpharetta), Jason Calvert of Chattahoochee, Ross Manning & Preston Yun (Lambert). For the ladies, Caitlin Stanton edged Rachel Halper, both of Alpharetta, by 15-14 in the gold-medal bout. Laura Anderson (Roswell) & Nikki Wyman (Chattahoochee) finished 3-T. In the other tournament, Luben (Pope) won, followed by Ryan Carroll (Dunwoody), & Ian Lenthart & Anthony Schell (Pope). For the ladies, it was Katie van Riper (Pope), Julie Zhang (Johns Creek) & Christi Nakajima & Anna DeMario of Pope. In team standings, Northview men are second behind Pope. Northview ladies have slipped to 5th behind Chattahoochee, by only 17 points. Do me a favor ladies and let's do some real damage January 11th at JCHS. Johns Creek will host Alpharetta, Duluth, Milton, Northview, Pinecrest, Roswell, and South Forsyth. That means Brian Cai, Julie Zhang, Caitlin Stanton, Rachel Halper & Laura Anderson. We can make these points up! A top-4 finish in team means a bye at the team tournament. I took home a jacket, which I hope belongs to one of you! It didn't have anyone's name in it. I also have Harold's glove. Harrison, I have your knickers & Christine, Jamie has your body cord. The league won't allow duct tape on gloves with holes anymore, so unless you're handy with needle & thread, you will need a new glove before the next tournament in January. See you Monday in our last practice before Thanksgiving break. Men must report for check-in by 8:00AM. That means you have to be on the road Saturday morning at 7:15am. Roswell HS is located at 11595 King Road, Roswell, 30075. The tournament will be in the cafeteria and the halls. Fencers will stash their bags on the cafeteria tables, so there's hardly any room for spectators. Parents are encouraged to bring camp chairs. They don't even want us to park on the side of the school by their gym, because of basketball. We're supposed to park on the other side. Ladies' check-in closes at 10am. Remember, if your mask fails, take it to Dr. Williams at the armorers' table and we will re-glue it. No masks will be destroyed! We'll also bring duct tape in case you need to tape a hole in your glove. Northview has a couple spare gloves in our weapons bag, if you need one in a pinch. Our opponents Saturday are: Alpharetta, Chattahoochee, Fellowship Christian, Lambert, Lassiter, Pinecrest & Roswell. We don't see Pope again until the individual championships. We survived! I hope we never have to endure another tournament like that one. I conveyed that to Pope and Chris Grimshaw, the tournament organizer, agreed it's just too unmanageable. He's recommending we don't repeat that process, thank goodness. I also raised rather vocal objections to the mask check both at the tournament and in a subsequent e-mail. We'll see what results that will bring, but, in the meantime, I'm bringing a hot-glue gun to practice Monday. Anyone who needs a mask glued down, come see me. By the next tournament, this will not be an issue! The next tournament will be at Roswell HS, not Lassiter. They will have 10 strips but running them in their cafeteria and in the hallway outside the cafeteria. The school is busy that day, so it will be CROWDED and parking might be a problem! Please make sure you know check-in times as they maybe different to make the tournament run smoother. We have, by my count, five more practices until our holiday party. We are back in the halls tomorrow and through November. Winter cheerleading's staking a claim on the cafeteria. I want everyone to give their best effort to Coach. You all are showing such improvement as she works with you. Javier Rivera lent an epee to a Northview fencer and it may have gone home with that fencer. Please bring it to practice tomorrow. If anyone else has equipment to swap, please bring it to practice. I brought home a Northview zip-up hoodie I found in the band-room, owner unknown. Tournament results: seven male fencers finished in the top 32: Harold (5), JP (7), Daniel Kim (12), Patrick Malloy (14), Matthew Do (15T), Rickie Jang (25) & Carson (30th). Five ladies finished in the top 32: Valerie (14), Christine (22), Cassandra Cronin (25T), Tiffany (29) and Hailey Sanders (32). Hailey qualifies for the championship! As for team standings, we remain second for men & fourth for women. Ryan Carroll beat Luben (!!!) in the finals. Brain Cai of Alpharetta & Ian Lenthart of Pope finished 3rd. Caitlin Stanton beat Katie Van Riper for the women. Dorothy Cannella (Centennial) and Rachel Halper (Alpharetta) finished 3rd. I want to remind all of you that Coach runs practice. Please accord her the respect she deserves, listen to what she says and follow her instructions. The fencing code-of-conduct form we asked you to sign at the beginning of the season spells out how we expect you to behave as a club member. If you are not capable of managing that, we must insist you leave practice until you can exert better self-control. Pictures are tomorrow--Wednesday. Hopefully, you've all hung onto those passes. Wear your fencing shirt and report to the aux gym at 10:30 in the morning. I'm attaching a roster for Saturday. I have to turn it in tomorrow. Please let me know tonight if I've omitted your name. Leave an hour to reach Pope. The address is 3001 Hembree Rd NE, Marietta, 30062. Men's check-in closes at 8:30am. Ladies' check-in closes at 10am. Northview will have to store bags in their band room, so make sure you take an extra epee and body cord with you. Fencing will be underway in the main gym, aux & cafeteria. Silence in the halls-it's an SAT Saturday. Pope's running a food drive and is asking fencers to bring a non-perishable food item (like macaroni or spaghetti or peanut butter). No glass. Pope is experimenting with the Fencing Time program so you can follow along with your smart phone. Point the browser topopefencing.org/liveresults/nov2013. It's supposed to update every 3 minutes during the tournament. See you Saturday, bright & early at Pope. We did G-R-E-A-T Saturday. Seven Northview men finished in the top 16 (one more than Pope) and five Northview women finished top-16 (same as Pope). Two of our fencers--Carson Sedberry (2nd) and Valerie Avva (3T)--were on the medal stand, preventing a Pope sweep. Carson wins his first medal this season. Patrick Malloy and Harold tied for 5th, JP finished 9th, followed by Jamie McAreavey (11), Michael Zhou (13) and Matthew Do (14). For the ladies, Valerie wins bronze. Arah came within one point of beating Amanda Hobby and finishes 5th, followed by Christine McAreavey (7), Tiffany Xu (10) and Rachel Williams (16). At the other tournament, Ryan Carroll (Dunwoody) and Caitlin Stanton (Alpharetta) won. In team standings, Northview is a solid second behind Pope for men. Northview women are 4th, behind Pope, Alpharetta & Johns Creek. Ladies are 40 points behind JCHS for 3rd but 50 points ahead of Alpharetta in 5th. Good job and thanks to all your parents who pitched in to run the tournament so well. We received multiple compliments! Found--Matthew's glove & Rishi Dutta's mask. Northview men & women fenced very well against strong competition in the team championships at Pope HS. The men defeated Johns Creek by one point (!) to get into the championship round against a very strong Pope men's squad. We had our chances, especially after Dave scored 15 points in one 3-minute round, the most scored in one period by any fencer that day. Ultimately, Pope prevailed, and Northview finished runner-up, in second. 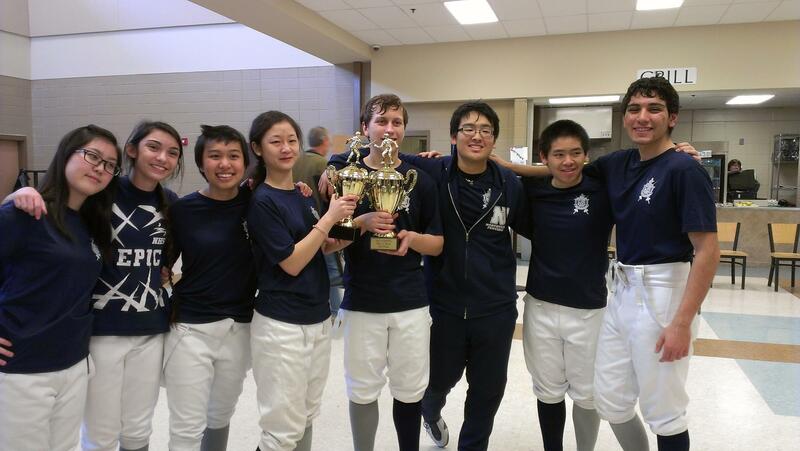 Northview ladies won the team's first women's trophy, defeating Johns Creek HS to place third.